Ervi Rahayu Kristanti was born and raised in Pati, Central Java, Indonesia. Javanese is her native language. 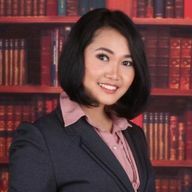 She graduated from Brawijaya University in Malang with B. Ed in English Education. She joins GNI since February 2017. During the leisure time, she likes to travel and go to the gym or Boxing Class.